i read alot about this cpu and it was a very highly praised cpu but as i found out after buying this bent pin cpu and fixed the pins ,it was a c2 stepping model that has memory trouble and overclocking trouble and the seller new this and did not put it in his listing so i have given it away, i bought 4 gig of trident 2000 mhz memory and could not get it to run at rated speed and i contacted gskill and they made me aware of the revision amd made to the 955 that now is a c3 stepping cpu that has no trouble with the memory or overclocking. make sure you check this out befor you buy if you intend on overclocking or buy high end memory to go with it. Fast and Capable, but HOT. I bought this processor for a relatively quiet build, installing a huge aftermarket cooler (the Scythe 0rocchi, reviewed to be capable of cooling 150W processors without a fan). This 955 is a Black Edition, so it should be capable of overclocking through the processor multiplier, but even at stock speeds under load the processor would reach 60 C, and its rated to max 62C. I didn't really want to try too much overclocking since stock was maxing out the cooling. I should mention this is the ~DGI version of the 955, with C2 stepping. I have read the ~DGM version with C3 stepping runs much cooler: it takes much less voltage at stock speeds. works good. replaced the one I used for another build. Great cpu system works great without a glitch.. The best AM3 chip to get - overclocks well, hexacore isn't worth the extra cost when nothing is threaded for 5-6 cores and 1-4 threads is same on x4 and x6. 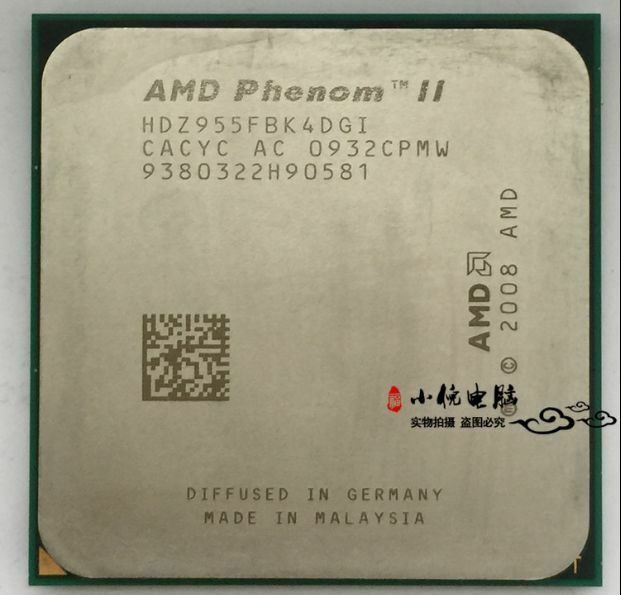 Pentium 2120 is a better processor, but if you need more logical cores for video encoding instead of video gaming or general usage, than phenom ii x4 is the way to go for a budget system.